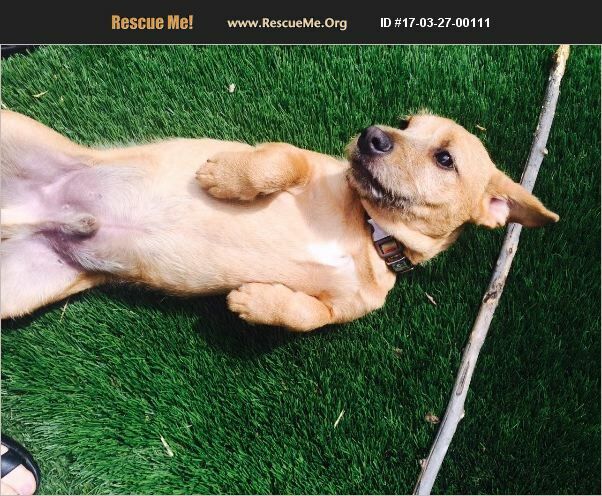 Max is a gorgeous six month old Retriever/ Border Terrier mix He will be a medium sized dog. He was rescued with his sister, Lucy in Tijuana Mexico after they were found hungry and dirty on the streets. Luckily, they are safely with us in Los Angeles and in the month or more that we have had them they are thriving and healthy. Max has been fully vet checked vaccinated microchipped and neutered and he is ready to be adopted. We would love to adopt the pups together, or place Max in a home with another playful dog. He would do best in a home with a yard and active owners who are not gone all day.